Trader Family Road Trip–Day 5: To the Land of Cheese! Day 5 did not go nearly according to plan. 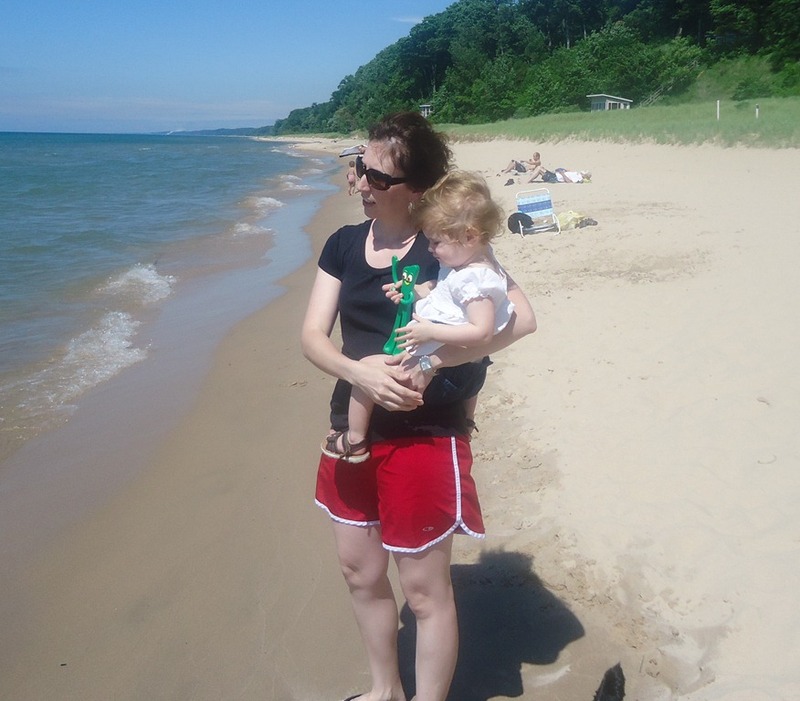 Originally, we had hoped to take a ferry from Muskegon, MI to Milwaukee, WI (the 3 of us and our car!). It would take a couple hours and we’d be there by noon. However, I didn’t realize that we needed to make reservations in advance. Thinking back I should have known but for some reason it never crossed my mind. Unfortunately, because we didn’t make a reservation, they didn’t have any openings for a car. 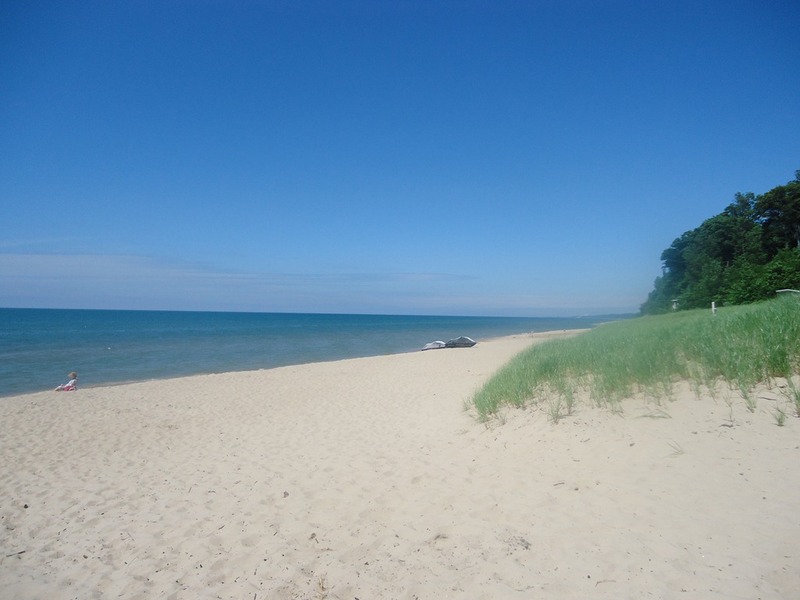 So we had a few options: 1) stay in Manistee longer, 2) go home early, 3) drive up and over Lake Michigan or 4) drive down and around Lake Michigan. After much research and discussion, we decided to go down and around. 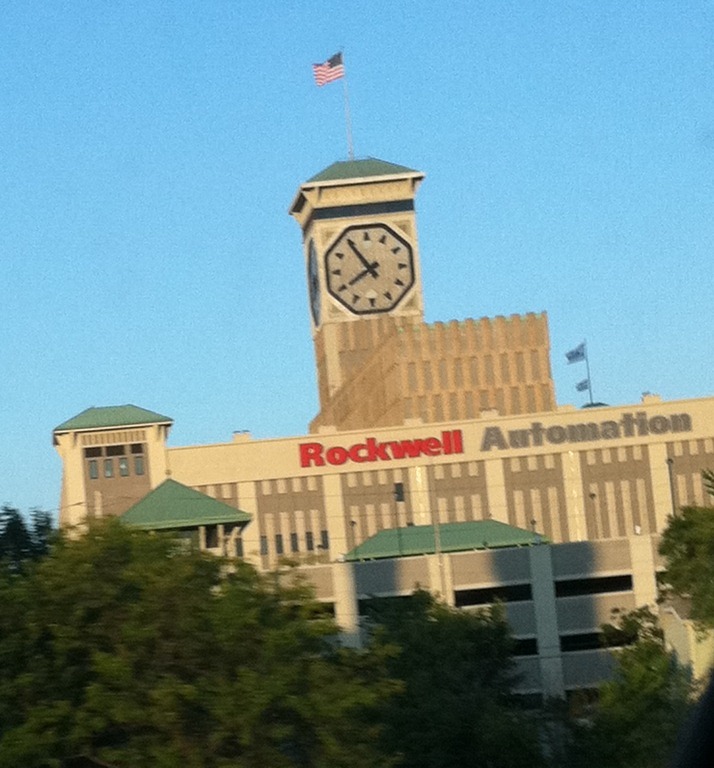 It was a 5 1/2 hour drive so we’d be in Milwaukee by dinner. We thought that was the best way to go! But first we wanted to meet up with CJ’s sister and dad for breakfast and to shop around their downtown. We had a nice morning and I got some sassy red shoes for 60% off! We were on the road by 11 and ready for adventure! And it wasn’t long before we found it. After driving for a while (after stopping for lunch and then hitting the road again) Isabella was starting to get antsy. We needed a place to stop and play so I pulled off in to the next town that came along. Surely this town would have a park. We drove around for a while and finally found it. 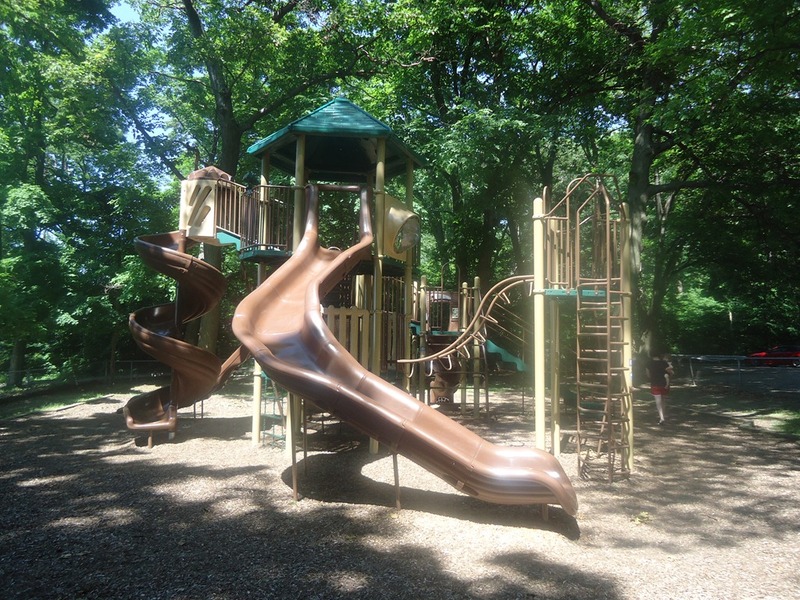 Turns out it was a pretty sweet park AND it was connected to a beach! We played on the equipment for a while and then wandered down to the beach, which stretched for miles. The sand was so soft and fine and there were hardly any people there. It was a perfect place to stretch our legs! Isabella enjoyed digging and walking in the sand. There was a dog there that she enjoyed watching. She found some cool rocks and shells too! But eventually we had to get back on the road or we’d never get to Wisconsin! 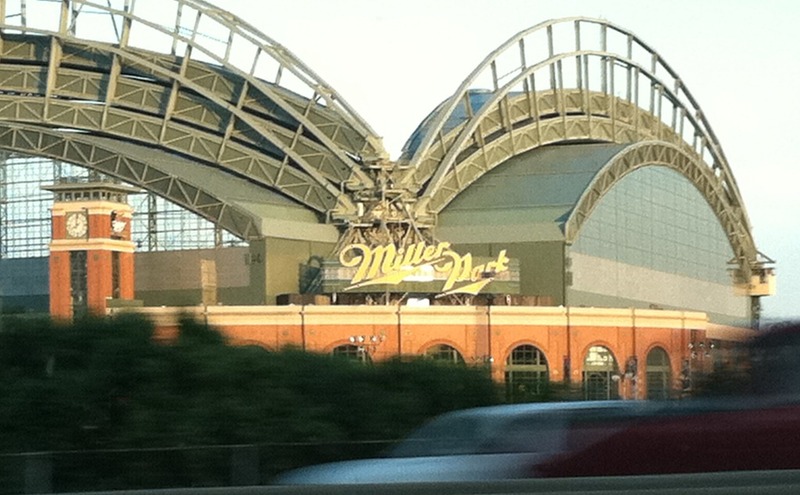 We also saw Miller Park, home of the Brewers. We really wanted to get to our hotel at a decent time so we could all get to bed. Every night prior it had been nearly 9 p.m. before Isabella got to sleep and we didn’t want to disrupt her schedule too much. So we found a hotel and settled in. CJ went down to the bar and relaxed with a beer while I hung back in the room and caught up on emails. I caught a little TV too and then crashed. It wasn’t a super exciting day as it was mostly driving but we still had fun. And we were looking forward to tomorrow’s adventure!